On Sunday, reportedly at least 59 people were killed, another 527 injured in a mass shooting incident during a concert near the Mandalay Bay Resort and Casino. Police blamed a lone gunman, 64-year-old Stephen Paddock, called a “local resident,” reportedly firing from a window on the Mandalay hotel’s 32nd floor. Raw video footage from a taxi driver showed muzzle flashes from the 4th floor. The Harvest Music Festival took place across the street. Police located Marilou Danley’s whereabouts, living outside America, thought to be his “companion” and “roommate,” calling her a “person of interest.” She’s not considered a suspect. Was it a lone wolf attack or something more sinister? It’s too soon to know. One gunman able to kill or wound hundreds of people single-handedly raises suspicions. Nearly two dozen rifles and other firearms allegedly found in his room begs an obvious question. How could anyon get them into the hotel unnoticed? How many suitcases and/or satchels are needed to transport this arsenal, along with munitions? Dead men tell no tales, so his account of what happened won’t be told. Witnesses on the scene suggested multiple shooters. One unnamed individual insisted there were more than one. It would seem likely given the high casualty count. Even using a semi-automatic weapon, one shooter able to cause this much carnage singlehandedly begs a couple of questions. Were others involved? Was the incident as reported or a false flag? It’s reminiscent of multiple July 22, 2011 shootings on Norway’s Utoeya Island, scores of children killed, blamed on Anders Breivik, called a lone gunman. Several eyewitness saw two shooters. Evidence suggests Breivik couldn’t have acted alone. Yesterday’s incident was also reminiscent of the December 14, 2012 Sandy Hook Elementary School incident. The official narrative blamed Adam Lanza. Investigative work by Professor James Tracy questioned whether any shootings took place – “at least in the way law enforcement authorities and the nation’s news media” described things. Contradictions abounded. Key questions weren’t answered. How did one alleged gunman fire so many shots in so little time and supposedly inflict so many casualties? Connecticut’s coroner, Wayne Carver, and police officials said Lanza shot each victim from three to 11 times – 182 shots, one every 2 seconds plus likely misses. Yet the official narrative called him the sole gunman, a youth with no military training, said to have used a 30-shot magazine in one weapon, having to reload over half a dozen times to have done the alleged shootings himself. There was “no visual evidence of Lanza’s violent entry” – nor any “broken glass, blasted security locks and doors, bullet casings and holes, bloodied walls and floors,” no evidence that any more than small number of the school’s 600 students were evacuated. Was Sunday’s Las Vegas incident another Utoeya Island, Norway or Sandy Hook-type incident? The fullness of time may tell. Note: ISIS claiming responsibility for the Las Vegas shootings is meaningless. America supports the terrorist group. Why would it bite the hand feeding it! On Monday, the FBI said Paddock has no connection to ISIS. What’s behind Sunday’s carnage remains to be revealed. The official account has a familiar disturbing aroma. 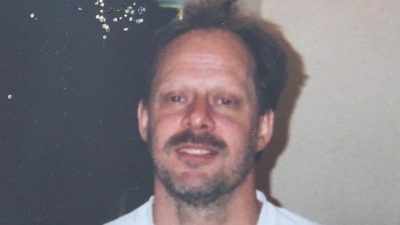 Was Paddock a convenient patsy? He’s not around to tell his side.